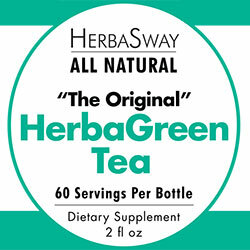 Makers of HerbaGreen Tea, the original green tea concentrate. Can Chocolate be Good for Your Health? Chocolate and its main ingredient, cocoa, appear to reduce risk factors for heart disease. Flavanols in cocoa beans have antioxidant effects that reduce cell damage implicated in heart disease. Flavanols — which are more prevalent in dark chocolate than in milk chocolate — also help lower blood pressure and improve vascular function. The problem with consuming chocolate is the additives manufacturers use to make the cocoa taste sweeter: sugar, milk, and so forth. Most commercial chocolate has ingredients that add fat, sugar and calories. And too much can contribute to weight gain, a risk factor for high blood pressure, heart disease and diabetes. On the other hand, cocoa itself, unlike chocolate, is low in sugar and fat while offering potential health benefits. 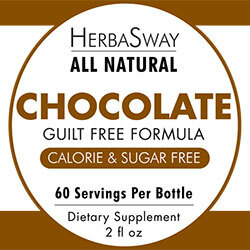 Our Chocolate Guilt Free Formula is a liquid infusion of pure cocoa powder loaded with anti-oxidants. 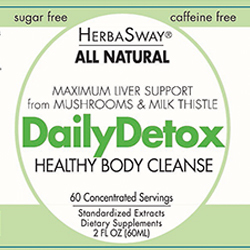 It tastes great, but doesn’t contain any of the bad stuff you find in chocolate bars. Great for children as a healthy addition to ice cream, yogurt, smoothies or wherever you want great chocolate taste without the calories. This entry was posted in Studies and tagged chocolate, flavanols, why chocolate has health benefits on January 17, 2015 by herbasway. 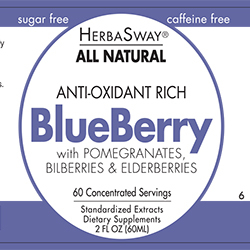 Copyright © 1996-2019 HerbaSway Laboratories, LLC. All rights reserved.